Prime Minister Scott Morrison has confirmed that Australians are headed to the polls on Saturday, May 18. Mr Morrison took the unusual step of announcing the election on a Thursday, after visiting the Governor General this morning. The Prime Minister addressed the nation shortly after 8am today and made it clear that the economy would be a key message through the campaign. “We live in the best country in the world but to secure your future the road ahead depends on a strong economy and that’s why there is so much at stake at this election,” Mr Morrison said. Mr Morrison and Opposition Leader Bill Shorten will begin their campaigns today. The early part of the campaign will be critical as the Easter and ANZAC holidays will most likely overshadow the campaign later this month. “At this election there is a clear choice. It is a choice that will determine the economy that Australians live in – not just for the next three years but for the next decade,” Mr Morrison said. 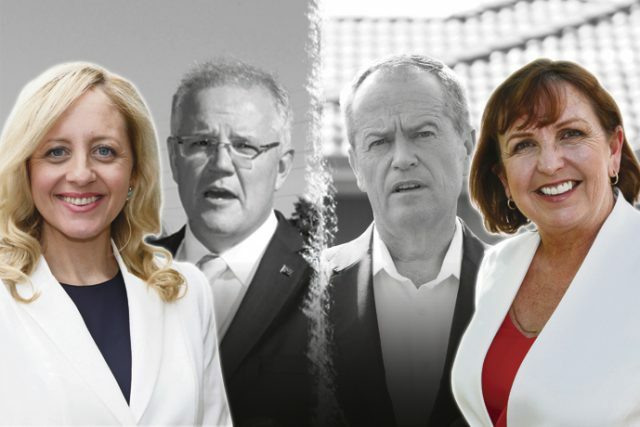 In Lindsay, the race between Labor’s Diane Beamer and the Liberal Party’s Melissa McIntosh is expected to go down to the wire. Labor holds the seat by 1.1 per cent but the Coalition is confident it can win back the seat. Both Mr Morrison and Mr Shorten are likely to spend plenty of time in Lindsay during the campaign. Mr Shorten said it was time for a change of government. “The election has been called and today the case to vote Labor is that we will deliver more jobs, better health and education,” he said.